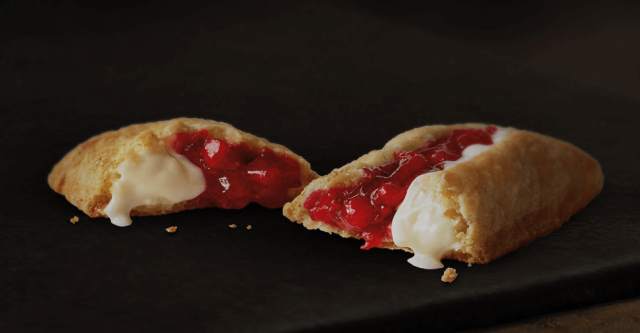 McDonald's serves up limited-time Cherry and Creme Pies at select participating locations. Strawberry and Creme Pies have also been popping up, although the two appear to be mutually exclusive locally. Both pies feature a sugar-coated crust and a dual-piped filling of sweetened fruit (cherry and strawberry respectively) and vanilla-flavored creme. You can expect them to go for 89 cents a pop (may vary). My review of the Strawberry and Creme Pie can be found here.